Defenders' spatial science program provides maps and analyses to support all of our conservation efforts. Our work ranges from using remotely-sensed imagery to monitor endangered species habitat to developing predictive spatial models to inform conservation decisions. Each map below focuses on one of Defenders' key species, focal landscapes, or policy areas. Click on the thumbnail to open each application and explore Defenders' work. Our conservation efforts are targeted at the full range of vulnerable North American biodiversity, from plants to pollinators to predators. Defenders' spatial science program is focusing on conservation threats and opportunities for our 25 'key species' - vulnerable species like wolves, manatees, sea otters, bison and grizzly bears, as well as some lesser known but equally imperiled species, like pollinators, freshwater mussels and amphibians - that play key ecological roles and serve as vital indicators of ecosystem health and environmental quality. 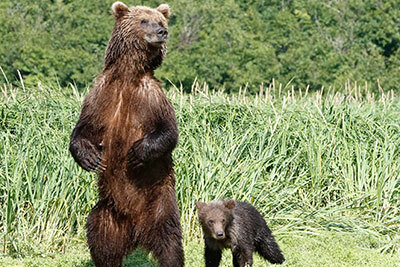 Grizzly bears were in serious trouble before they gained protection under the Endangered Species Act. 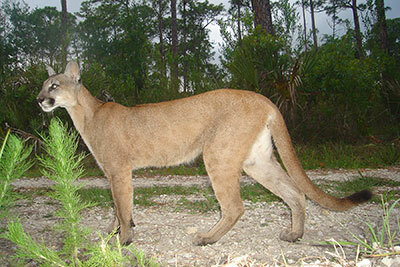 Now we’re working to address conflicts as they regain parts of their historic habitat. Defenders is helping communities learn to live with grizzly bears by eliminating attractants, using bear-proof dumpsters, and installing electric fencing to protect livestock. Defenders works to support jaguar recovery in the US and Mexico, with the goal of viable, connected populations of jaguars throughout their northern range. 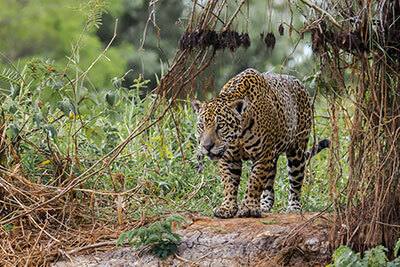 We work with our partners to manage and protect the Northern Jaguar Reserve in Sonora, Mexico. The reserve protects key habitat for the last breeding population of northern jaguars—offering hope for their recovery in the United States. 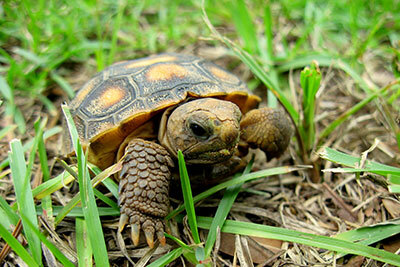 Defenders is working to conserve a Florida-wide ecological network that protects habitats and connectivity corridors. Our goal is to help ensure that panthers have access to the resources they need to roam, find shelter, forage, hunt, find mates, and raise their young. 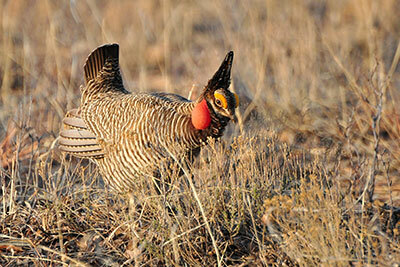 Lesser prairie-chickens once numbered in the millions. But climate change is exacerbating problems caused by energy development, cropland conversion, grassland fragmentation and heavy livestock grazing that strips the grass cover these birds need to hide from natural predators. Wildlife has the greatest chance of being secure and thriving if it is supported by a transnational network of public and private lands, rivers and coastal waters, core natural areas and working landscapes. Our spatial science program is working in 15 'focal landscapes' to identify biodiversity hotspots, connectivity corridors, and climate refugia for imperiled species, as well as monitor and track changes in critical habitat, recovery units, and protected areas. Climate change poses the single greatest threat to the Arctic. But it also compounds another significant threat: energy development. The Arctic holds some of the world’s largest undeveloped oil reserves. 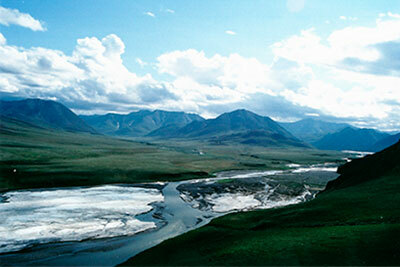 This has put one of Alaska’s most vital refuges – The Arctic National Wildlife Refuge – in peril. 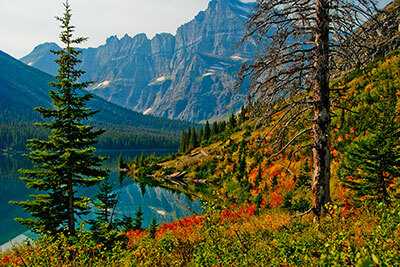 We’re identifying ‘species strongholds’ - biodiversity hotspots, connectivity corridors, and climate refugia - on National Wildlife Refuges and National Forests and proposing them for additional protections. Protecting habitat on public lands. Most public lands are working landscapes, managed for multiple uses including energy development, livestock grazing, mining and recreation, in addition to wildlife conservation. Multiple use landscapes make it difficult to balance resource use with wildlife conservation. Our spatial science program is helping us identify and prioritize habitat areas on public lands to ensure that species have the room to thrive and recover. We’re using high-resolution satellite images to monitor compliance with ESA permits and ensure that conservation agreements are delivering the benefits they’ve promised. Improving the Endangered Species Act (ESA). Moving species closer to recovery requires transparent and accountable monitoring. Our spatial science program is tracking habitat disturbance through time and across space to make sure that we have the clearest picture of what’s happening for species on the ground. We also look for ways to make ESA policies more efficient, helping limited conservation dollars go farther, and making it easier for the public to comply with ESA regulations. We’re identifying key habitat areas on Bureau of Land Management lands that make it easier to direct energy and transmission development away from imperiled species. 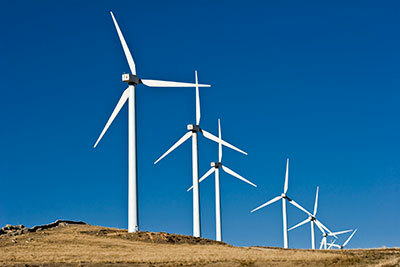 Promoting renewable energy. Generating clean, renewable electricity from sun, wind and geothermal sources is one of the best ways to slow down global climate change—one of the leading threats facing wildlife today. Our spatial science program is helping to ensure that renewable energy projects are built close to existing transmission, on already degraded lands, and away from important habitat areas. By using Defenders' mapping applications and associated Geographic Information Systems (GIS) data the user agrees to the following: Defenders' mapping applications are dynamic and should be used for general reference only. Defenders adds, modifies and updates the applications regularly, and the web services they rely on are also updated on a regular basis. Data used in Defenders' mapping applications require biological expertise for proper analysis, interpretation and use. It is the user’s responsibility to ensure that the data and insights obtained from Defenders' applications are used correctly. Defenders' GIS staff is available to advise users in the technical aspects of the data. Defenders' does not portray its maps, data, or applications as exhaustive or comprehensive inventories of species occurrence or habitat areas. For any given map or application, a lack of species occurrences or records in no way indicates or implies that the species do not occur there. Field observations by qualified persons and using the proper protocols at appropriate times are necessary to support negative findings.